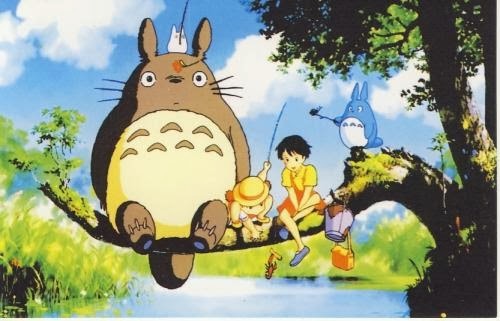 Postcard NL-2367054 from the Netherlands shows a scene from My Neighbor Totoro (龍貓), a 1988 Japanese animated fantasy film that tells the story of a professor's two young daughters Satsuko and Mei, who move to the country to be near their ailing mother in postwar rural Japan. They have adventures with the friendly forest spirits. The film won the Animage Anime Grand Prix prize and the Mainichi Film Award for Best Film in 1988.